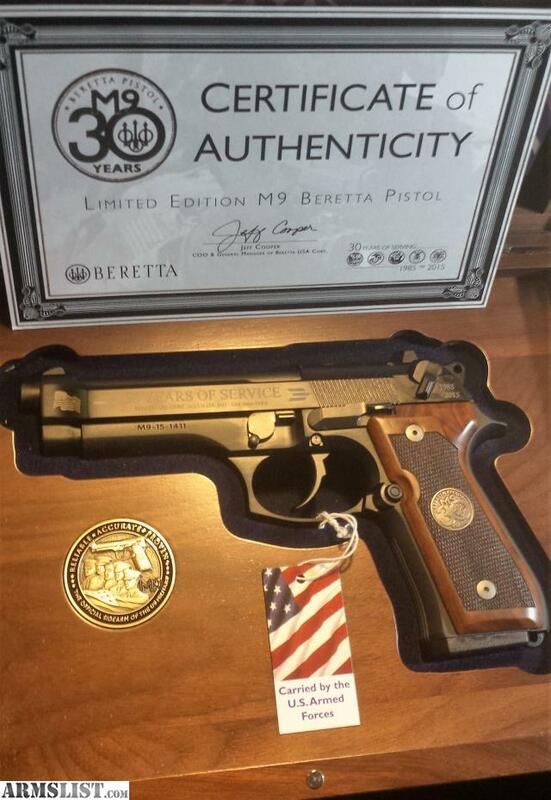 Beretta is pleased to offer the 30th Anniversary Limited Edition M9. Only 2015 of these unique collector’s edition pistols will be produced. 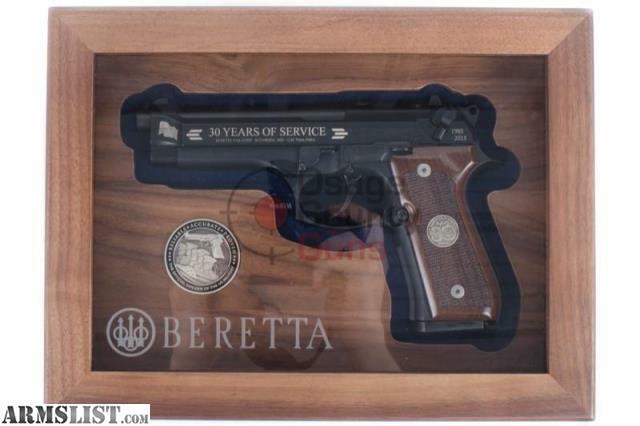 Each of these commemorative pistols is displayed in a walnut shadow box engraved with the Beretta logo. 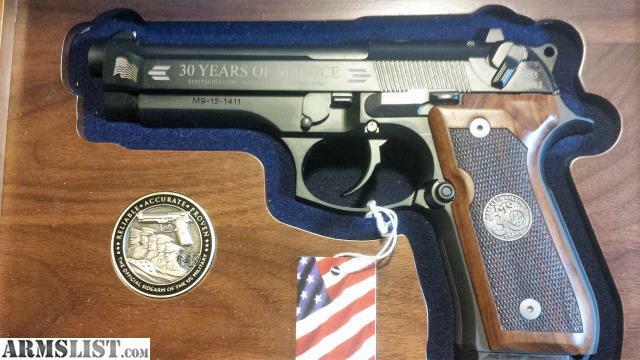 Featured inside the shadow box is the limited edition M9 30th anniversary challenge coin, minted specifically for these pistols. 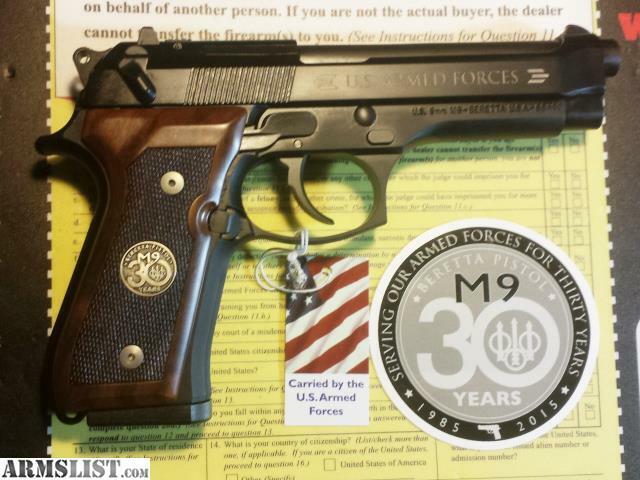 The M9 30th anniversary limited edition pistol is silver inlayed to commemorate the 30 years of service the M9 has provided the U.S. Military. 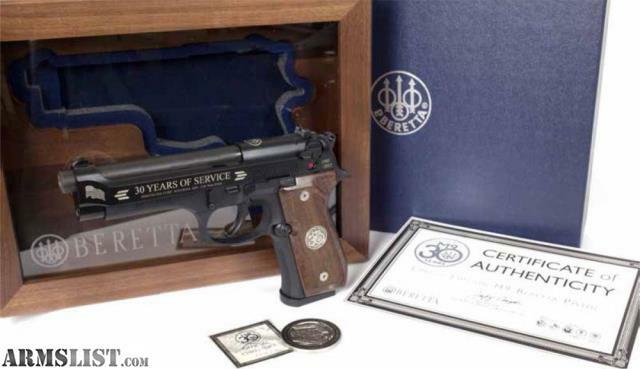 2015 marks the 30th year of service for the Beretta M9, to commorate this occasion Beretta has produced 2015 of this special M9.